Below you can view all the homes for sale in the Deerwood subdivision located in Smyrna Georgia. 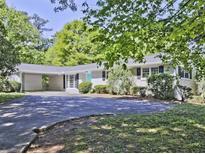 Listings in Deerwood are updated daily from data we receive from the Atlanta multiple listing service. To learn more about any of these homes or to receive custom notifications when a new property is listed for sale in Deerwood, give us a call at 404-998-4102. New Hvac System. Two Car Garage. Great Yard MLS#6537531. Drake Realty Of Georgia Atlanta. 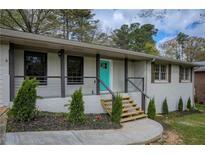 Just Minutes To Silver Comet Trail, Downtown Smyrna, And More! MLS#6535677. Berkshire Hathaway Homeservices Georgia Properties. New Deck In Rear Extends Entire Length Of The House And Is Great For Entertaining. MLS#6530495. Ansley Atlanta Real Estate, Llc. Full Basement Offers Tons Of Storage And Can Be Easily Finished Out. 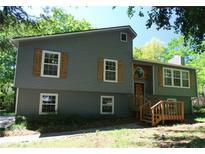 MLS#6525255. Keller Williams Realty Cityside. Seniors May Take Advantage Of The Cobb/Smyrna Senior Exemption & Save Thousands On Taxes! MLS#6517326. Keller Williams Realty Cityside. Home Comes With A 30-Day Buyback Guarantee. Terms And Conditions Apply. MLS#6110831. Opendoor Brokerage, Llc. Your Clients Will Love This Home! MLS#6102986. Re/Max Town And Country.